This is an exciting release for us here at ClickPoint Software because it will benefit our LeadExec customers and their relationships with lead sources and marketing partners. The vendor portal is a web-based portal for marketing partners who are working with LeadExec customers. The newly released portal allows these marketing partners to log into a branded web portal that is fully customizable by our LeadExec customers. 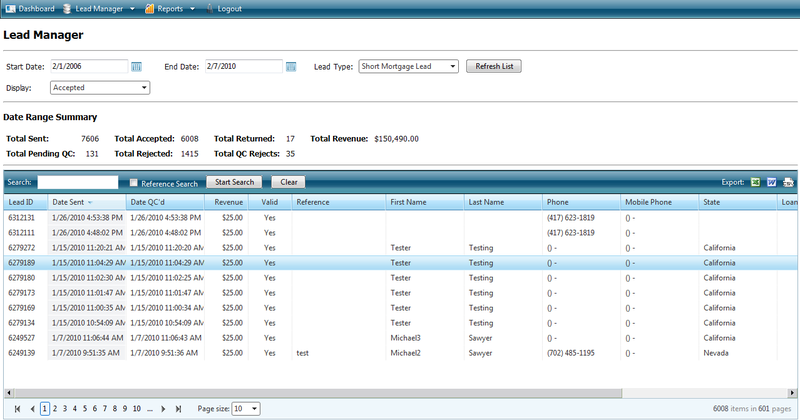 In addition to the new look and feel, the vendor portal also has 9 new reports. At ClickPoint Software we want our LeadExec customers to improve the relationship they have with their marketing partners. Complete visibility is paramount and we accomplish this with granular reports that help make invoicing and payouts easy. 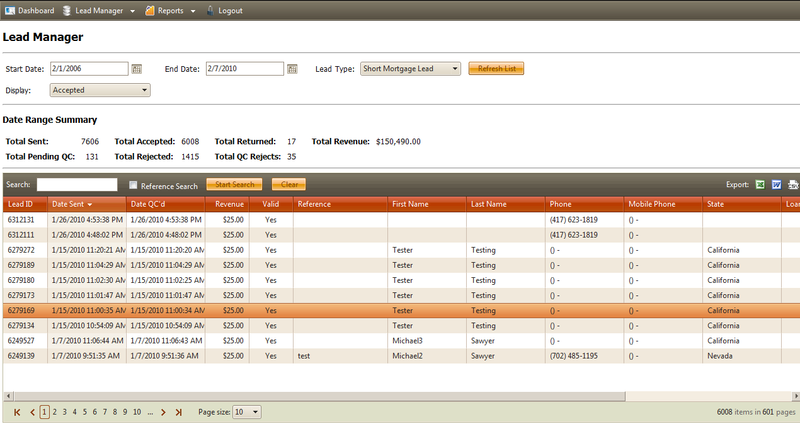 When it comes time for billing you don’t want to be counting up lead returns, lead rejects, bad leads, etc. and trying to make sense of all of this for each marketing partner. With the ClickPoint Software vendor portal, all of these issues are addressed so that there is no guess work. Marketing partners can clearly see why leads are rejected, returned or never made it into the LeadExec system. If they aren’t able to get leads in they know it right away and don’t have to play detective to figure out what’s wrong with their post or lead format. This entry was posted in Lead Generation System and tagged Lead Management on February 7, 2010 by Gabriel Buck.